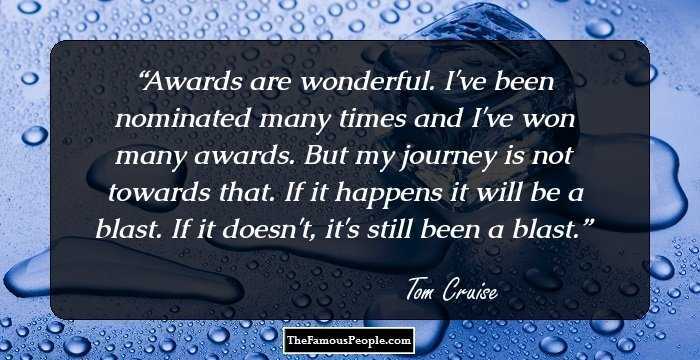 A collection of best award quotes and thoughts by some of the most famous people. Awards refer to any form of acclamation or recognition that you receive for your outstanding performance or your efforts in a particular field or in your profession. 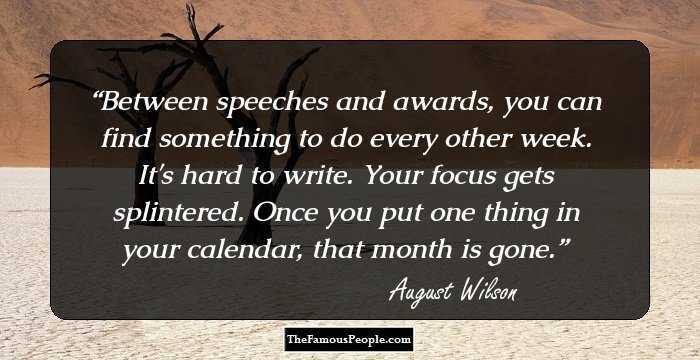 Awards are a motivational tool that keeps you going. Besides being a mark of excellence, awards help boost your morale and help you aim and achieve bigger accomplishments. In a way to reward creative excellence, awards come handy. Awards can be monetary as well as non-monetary. Awards help encourage people to give their best, express empowerment and take thoughtful risks. If your don’t have a knack for words and are looking for the right words to praise someone and you are not a poet then we have created a corpus of some popular, famous and inspiring award and recognition quotations and sayings which have come from eminent leaders, celebrities, motivational speakers and famous personalities. Following is a list of award quotes and thoughts that will keep you on the right track and take you straight towards accomplishing your goals. My friend Quincy Jones says we won our first Grammys together in 1963. I have no recollection. I don't even remember the room. When he showed me the picture, I remembered what I wore. But it's like awards don't mean anything. 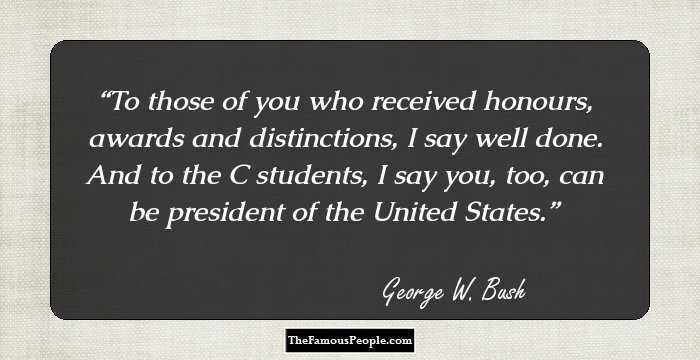 I won an Academy Award for 'The Cider House Rules,' playing an American. The Academy Awards are obscene, dirty . . . no better than a beauty contest. I don't do a television show for awards. You make it so people will enjoy watching it. I always look back to awards shows and think about being a kid watching them. My job as the host of a rock awards show is not to be as divisive as possible, but certainly you want to be able to interject your jokes and how you feel about stuff. You know how people say awards don't mean anything? Hello! I think the energy around them makes everyone cuckoo. It feels like a rash. 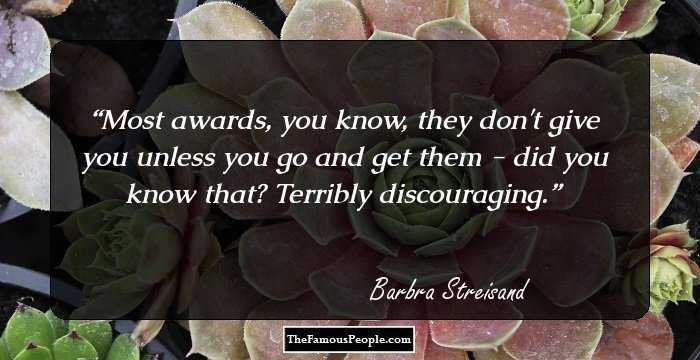 It suddenly seems like I've got a contagion of diseases, I mean awards. But it's nice, it's a nice feeling. It's so weird, because I'm only 46. A lifetime Achievement award... it feels like 'I'm not over yet'. I hope they're not trying to say it's time to stop. I'm only just getting the gist of it. I have won many awards and I am very happy about this, but I am not the best player in the world. My kids can't eat awards. It's much harder to act in a bad film than in a good one. A terrible script makes for very difficult acting. 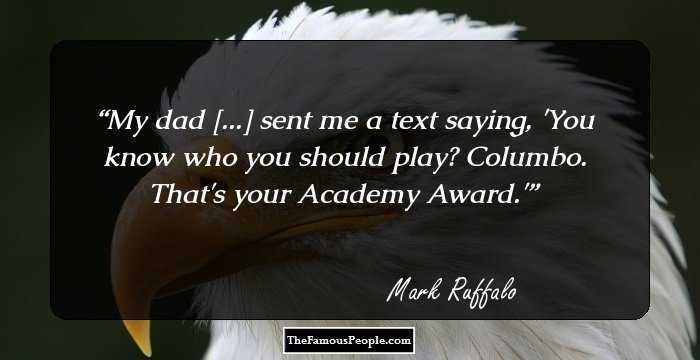 You can win an Academy Award for some of the easiest acting in your career, made possible by a brilliant script. I'm not the guy who wins awards and gets mentioned in magazines. I don't understand these national awards, because half of those who sit in judgement over Indian films do not... possess the competence to evaluate a film correctly. I've gotten tons of awards and I believe when it's my time to get a Grammy, I'll get a Grammy.